Visual Studio Team Foundation Server (TFS) manages workflow of software development projects. It is designed for the typical development. If it doesn't support all your team development activities, you can extend it by various means, including the creation custom controls or new work items. Team Foundation Server (TFS) manages the entire application lifecycle using underlying process templates. TFS provides, off the shelf, three built-in process templates for managing the general execution of a project. There are also several community-developed templates available that can be integrated to TFS. If you need more than this, you can develop templates to handle specific aspects of the workflow that supports your application development process. In this article, we’ll take a look at how to create a new process template, and demonstrate some of these customizations with the aim of getting you started with your own customizations. We can define our own process and work items using a new process template. 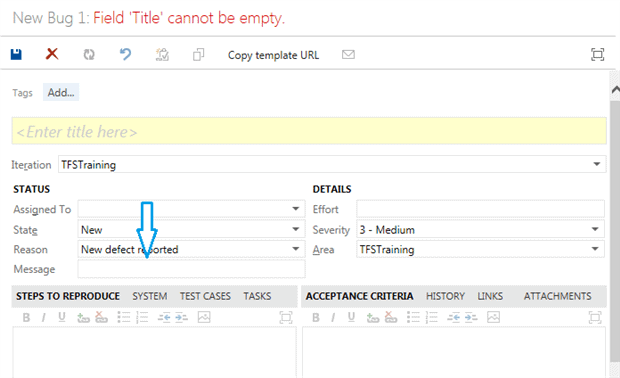 When this process template is defined, it can be based on an existing template and then modified using the process editor. The Process Editor is part of TFS Power tools, which can be downloaded from Visual Studio gallery. Open Visual Studio and connect to TFS server. Navigate to Team Explorer â Settings. 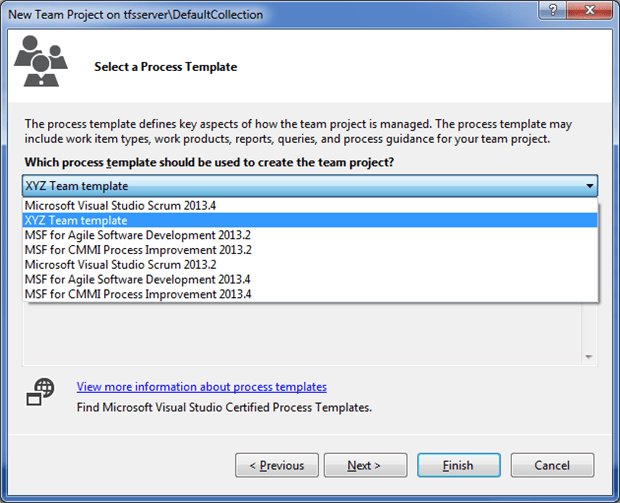 Select ‘Process Template Manager‘ from the ‘Team Project Collection‘ section to launch the ‘Process Template Manager’ window. Select one of the pre-defined process templates, based on which our new template will be developed. Click ‘Download‘ to download the process template to local system. Open the downloaded process template in Visual Studio using the Process editor for editing. Select Tools â Process Editor â Process Templates â Open Process Template. Select the process template xml file name from the download location. Work Item Tracking: Work items related to the process and their associated properties. Areas and Iterations: Iterations defines release management and areas will be based on whether they are functional, non-functional or feature-wise. Groups and Permissions: Defines the default TFS groups such as Contributors or Readers. Lab: Defines the lab system details associated with lab management. Build: Defines the default build templates and permissions related to build for each TFS group. Source Control: Different policies related to version control management. Portal: Defines the SharePoint integration components. Reports: Defines the sub folders under the root reporting URL. To create a new process template, rename the process template and modify the different sections according to our requirement. Save the modified template to the local system. Open the Process Template Manager again and click ‘Upload‘ to upload our new template, for example, XYZ Team Template. This template will be available for any new project creation. Create our new project using the new template to follow user defined process for the project execution. Visual Studio provides a command line tool called WITadmin to perform work item customization. This tool is available in the folder [drive:]\Program Files\Microsoft Visual Studio 12.0\Common7\IDE. This tool can be used for importing a work item, editing it and exporting it back. This command downloads the specified WIT definition, in above case the bug template to the specified path. We can edit the XML file using any XML editor or Visual Studio. 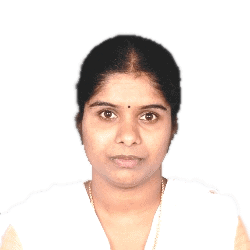 Fields – Defines the underlying database field. Specify the name of the database field, reference name, type and whether the field is reportable or not. Layout – Defines the layout of the work item. Fields will be represented in the layout using specific controls. Workflow – Defines the state transitions. Every work item will have its own lifecycle, which will be defined as workflow. Depending on the customization requirements, fields, layout and workflows can be altered. Here, a new field called Message will be added to our Bug template. The Process Editor has various options for working with a work item definition file. We can open the WIT directly from the server and edit it. Opening WIT from the server will reflect the changes directly on the server. If you are planning many changes or planning to work offline, use the ‘Export WIT’ option to download the WIT file to local system. Modify the local copy using ‘Open WIT from File’ and upload it back to server using ‘Import WIT‘. Here, we open the task work item and create a new custom work item called Work. Change the work item name as Work and modify the description. Remove the ‘Reason‘ and ‘Blocked‘ fields and add a new field called ‘Days‘. Click ‘New‘ in the ‘Fields‘ section. Provide the Name, type, reference name, help text and reportable attributes for the new field under the Field definition tab and click ‘OK‘. Navigate to the ‘Layout‘ section, where the new field will replace the ‘Reason‘ and ‘Blocked‘ fields. Delete the controls by right-clicking the control and select ‘Delete‘ from the context menu. Right-click the column and select ‘new control’. Bind the new control with our custom field. Save the work item definition and try to create a new work item to observe the new field. The field can appear as a text field, into which the user can enter the required value, a drop-down list from which only pre-selected values can be picked, or a combo-box where you can either enter a value from the keyboard or select from the list. Navigate to the ‘Field‘ section and double-click the ‘custom‘ field to open the Field Definition window. Navigate to the ‘Rules‘ tab and select either the AllowedValues or the SuggestedValues rule. 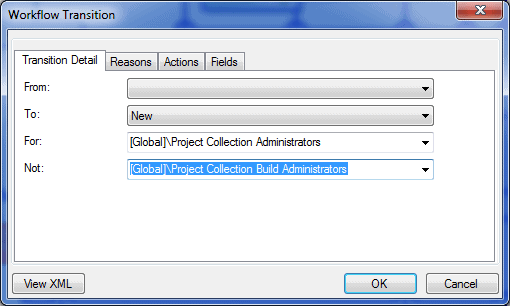 Either enter the list of values or else bind to a Global list which will be already defined in the project collection level to handle the list details. Save the WIT definition and open the new work item of type ‘Work‘ and observe the drop-down displayed for the ‘Days‘ field. New â Approved/committed/Done/Removed â Approved/committed/Done. New â Triage Approved â Approved/committed/Done/Removed â Approved/committed/Done. Open the ‘Bug‘ work item using Process Editor and navigate to the ‘Workflow‘ tab. In the flow diagram, drag one state control from the tool box to the work flow and then rename it to ‘Triage Approved‘. Double-click the transition to open the Transition properties. Change the starting state from ‘New’ to ‘Triage Approved’ to point it to the new state. Now, we have only one transition from New, which is to ‘Triage Approved’. All other transitions will be from ‘Triage Approved’ and back to the same. New bugs will have the changed lifecycle. After the bug is created, it will be in ‘New‘ state. From ‘New’, there will be only one state change called ‘Triage Approved’. FieldControl – Defines one liner text field. This is the default control used for integer, string or double data type. DateTimeControl – Defines a date field and displays a ‘date-picker’ for quick date selection. HtmlFieldControl – Defines an html field with rich text support. Your project requirements may require a more complex control than these to support your particular requirements. In this section, we will look into how we can create such a custom control. The Web access version of a control is created using HTML tags and jQuery widgets. It can also be based on one of the core TFS controls. TFS offers many core controls, which are not exposed as work item controls. In our first example, we will first create a control using HTML tags and then a control based on a core TFS control. TFS has a built-in type called PlainText, which supports more than 255 Unicode characters. We can use either the FieldControl or HtmlFieldControl to represent the Plaintext field. PlainText field is to ccapture more than 255 character information, displaying such a long text in a single line will not be appropriate always. FieldControl will display a single line text box only. HtmlFieldControl has a pre-defined minimum height and will display with a 15 line height. We will create a new custom control based on TextArea, which can be used for the PlainText field. Dependent module list: Dependent modules like work item tracking controls, tfs core and ui common controls. Module definition: We can define the control logic as a separate method or as an anonymous method shown in the above sample code. Now, define a constructor for the new module, which in turn calls the base constructor. Next, implement the new control logic by inheriting from WorkItemControl. Now, define various methods required to handle the new control logic inside the inherit block. Define an init method to handle the initialization of the control. The following code snippet creates a control that is based on the Html TextArea control. Define bind and unbind events to handle the change in the control value. A Bind event defines the event handler for the change event – _onChange. The Bind event will bind the data from the underline field to the control. Unbind will remove the event handler binding. this._getField() refers to the bind field or the database field. Define the change event handler to capture the new control value and assign it to the corresponding field. this._control refers to the TextArea defined in the init section. this._getField() refers to the bind field or the database field. Now, define the invalidate method, which will be triggered when there is any change in the underline field due to the other control logic or state change. Get the updated value of the field and bind to the control. Now, register the module as a work item custom control using the TFS.WorkItemTracking.Controls.registerWorkItemControl() method. // Register this module as a work item custom control called "TextAreaControl"
Compress all these files into a single .zip file to create a new custom control package, which can be distributed and installed in TFS Web access. Open the Team Web access. Click the ‘Extensions ‘tab and click ‘Install‘. Select the zip file in the install new Extension pop-up window. Click ‘OK’ to complete the installation process. Click the ‘Enable‘ link to enable the new control for usage. Save the WIT definition file and import to TFS server. Now, create a new bug for the updated project and observe the new control. TFS has several core components that are defined in the TFS.UI.Controls.Common script file, which are not exposed to the work item level. When we create new custom controls, we can base them on these core controls, which have defined methods and proper styles. 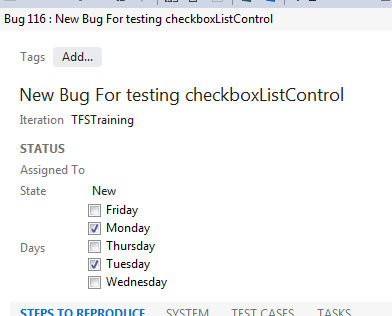 We will create, as an example, a new CheckboxListControl based on the TFS Core control CheckboxList. We can specify the Module declaration and the construction definition as before. We can define our new control module as CheckboxListControl with dependent modules TFS.WorkItemtracking.Controls, TFS.core and TFS.UI.Controls.Common. Now, we have to provide the init method to define the control based on the existing Core control TFS.UI.Controls.Common.CheckboxList. We will, however, then change the character used for delimiting the selected items and the handler for the change event. We will use a comma as the delimiting character. To do this, we define the change event handler to get the checked values from the CheckboxList and join to a single string using comma, which will be assigned to the underline field. We next define the invalidate method to bind the values to the CheckboxList. getAllowedValues() returns the values bind to the field using AllowedValues or SuggestedValues option. We use the SuggestedValues option to bind the values, which will allow us to select more than one options from the list. Moreover, retrieve the value from the underline field and mark the checked items in the list. Now, register the control to the work Item tracking control collection. // Register this module as a work item custom control called "CheckboxListControl"
Download the WIT template for ‘Bug’ using the witadmin command and open the XML file in XML editor to customize the WIT definition. Add a new field called Days to the Bug template along with suggested values. Now, define the control using our new custom control, CheckboxListControl. Either we need to develop a new custom control with the same name for the Visual Studio or else use an existing control as a fallback option. This fallback option requires you to specify a second control type for the control tag, which will be used if the first control isn’t available. 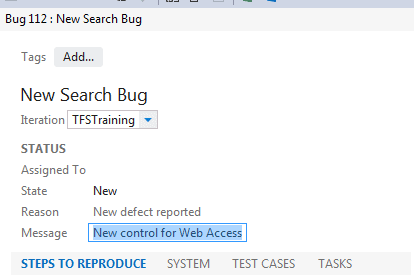 We use the new custom control to display the message field in Web access and use the fallback option to specify FieldControl for Visual Studio. PreferredType is the option to specify the fallback control. If the TextAreaControl is not available in Web access or in Visual Studio, it will use the FieldControl to display the field. Now, the field is displayed using FieldControl in Visual Studio. Develop the work item custom control to support the work item management using Visual Studio. Unlike the TFS Web access control which will be deployed in TFS server, Visual Studio controls need to be installed in each individual user system. If most of the users are using Web access, then things are easier because we can limit the control development to Web access control with a fallback mechanism to a default control for Visual Studio. If we have more users who work on Visual Studio, then we must develop the control to support Visual Studio and distribute this control to every user on each deployment of the custom control for them to install in their user system. Create a class library project using Visual Studio and add one UserControl. 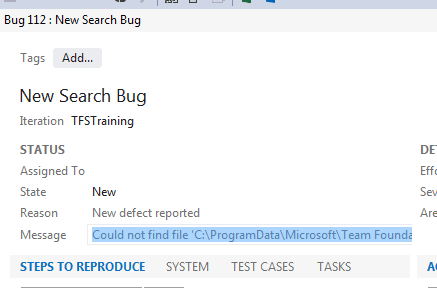 Add the reference to Microsoft.TeamFoundation.WorkItemTracking.Controls and Microsoft.TeamFoundation.WorkItemTracking.Client from the path [drive]:\Program Files\Microsoft Visual Studio 12.0\Common7\IDE\ReferenceAssemblies to the class library project. We have created one custom control for web access, CheckboxListControl in our last section. We will create the corresponding visual Studio control now. Implement the IWorkItemControl and IWorkItemToolTip interfaces to the user control. Before moving to the details of the interfaces, we will look into the basic implementation of the custom control. Our control is a checkboxlist control, so we must define the CheckedListBox control and initialize the properties of the control in a public constructor. Moreover, add the new control to the controls collection. ToolTip and Label properties are declared in the IWorkItemToolTip interface. Label will be used for displaying the label and can be implemented using the automatic property. The tooltip defines the tooltip of the control, which normally displays the HelpText associated with the field. Associate the field name to the tooltip of the label. IWorkItemControl has following method declarations and properties to handle the life time of the control. When there is any change in the field value, this method will get invoked to propagate the field change to the control. Get the field values and before setting the checked items, bind the allowed values or the suggested values to the control. Allows the platform to provide ServiceProvider implementation to the control, which we are not using for our custom control. Defines whether the control is read-only or not, which is again not used for our custom control. Properties Refers the collection of properties. This can be used for binding the custom control options and other properties. These events will handle the changes done by the control itself and avoid the invalidation notifications. We need to create the metadata file corresponding to the manifest file for our Web control to define the assembly and the control. This file will be saved with an extension of .wicc. Now, we need to package the Visual Studio class library as a Visual Studio extension or an MSI to distribute to the users. For testing, we can copy the dll and the wicc file to the location UserApplicationData\Local\Microsoft\Team Foundation\Work Item Tracking\Custom Controls\12.0. 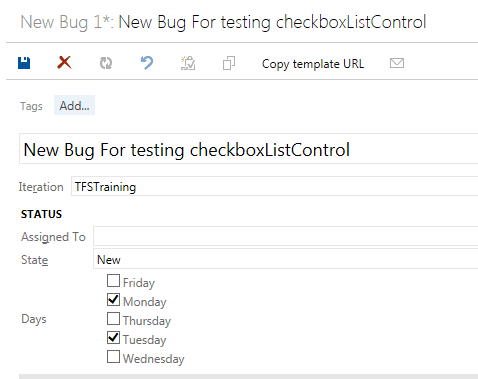 Now, open a new work item of type ‘Bug’ in Visual Studio, which is already bound to the CheckboxListControl as part of our web access custom control development. Observe the Checkbox control inside Visual Studio with values updated from Web access control. Sometimes, we need to control the access at field level. This can be implemented using the Rules associated with the field. In the following scenario, we have added the read-only constraint for all valid users and not for the administrators. This rule displays the field in read-only mode for all users except those in the Project Collection Administrators group. We have other constraints such as Empty, Frozen or conditional using When and WhenNot, required and so on as part of the pre-defined rule set. We can use these constraints to restrict the field-level access for the user. Sometimes, we may need to allow only one specific group to create a work item and allow others to edit the work item once created. This kind of lifecycle level access privileges can be set at work flow level. Open the transition properties to define the access restrictions. We can restrict the creation of a particular work item using the Workflow transition rules. The transition rule defined in the next figure shows that this specific work item can be created by only Project Collection Administrators and not by Project Collection Build Administrators. Similarly, we can specify which groups are able to make updates to any specific work item using the transition-level management of access rights. It is possible to customize TFS at different levels beyond the standard process templates. TFS provides standard controls but allows the end user to develop new custom controls in order to meet special requirements. 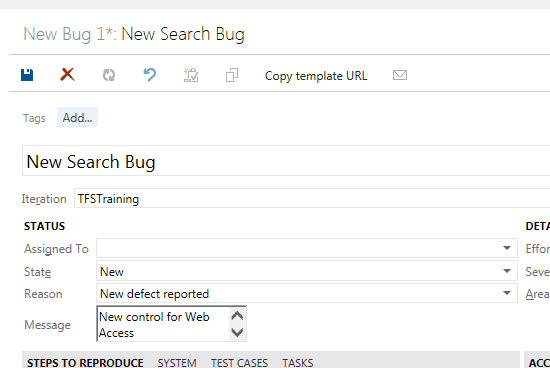 We can develop custom work item controls to improve the usability aspects of both TFS Web access and Visual-Studio-based management of work items. thanks fr your informative post. With the help of Bug.xml we could add a new custom field (say "Expected Closure Date") in the TFS but we need to auto populate the date (say two days from current date) in newly created field. Add the new custom field and select Default under Rules tab. From default popup, you can Select the type of value required against the "From" attribute. If you select clock, this will populate the current date. Remember, this option will not allow you to specify any expression as specified by you. For expression based default value, you need to create a new custom control. thanks for your reply ambily!!!! This is not a custom control, it is just a custom field only. Please refer the section "Custom Work Item Control Development", where we have developed a custom CheckboxList control. I have added Text Area control in TFS WIT. After syncing the defects from QC to TFS all the fields are updated with new data if we click on refresh button of TFS tool bar. But data of the custom control doesn’t get changed. We have to refresh the browser to see the latest data in custom control. Is it possible to update version TFS 2013 WIT Custom Controls to TFS 2015? I need to use MULTI VALUE CONTROL in WHEN Condition. If i select one value in the field , it should display multiple values in other custom field and they should be multi- select-able.